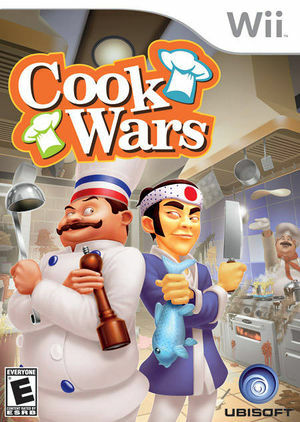 The fun never ends in Cook Wars (Cook-off Party in Europe) with over 30 mini-games of cooking challenges, offering a wide variety of gameplay: grill, cook, bake, cut, roll in numerous recipes from the world's best cuisines. Compete to become the best cook and win as you make some of the best international foods from 5 countries (Mexico, USA, France, Italy, Asia). Multiplayer functions, including 2 players vs. 2 players or 3 players vs. 1 player as well as an intense duel mode, offer the whole family a chance to play together. Unlock new ingredients and star chefs as you progress through the different modes. The graph below charts the compatibility with Cook Wars since Dolphin's 2.0 release, listing revisions only where a compatibility change occurred. This page was last edited on 12 February 2018, at 06:01.